In this book, one of the all-time classics on the art of military snipping, Herbert McBride details his journey from rural America to the putrid trenches of Europe during the First World War. He is one of the first to illustrate the need for scout snipers on the modern battlefield. From crossing the wire at night to targeting supply lines from concealed positions, he covers everything from the mundane to the horrific. 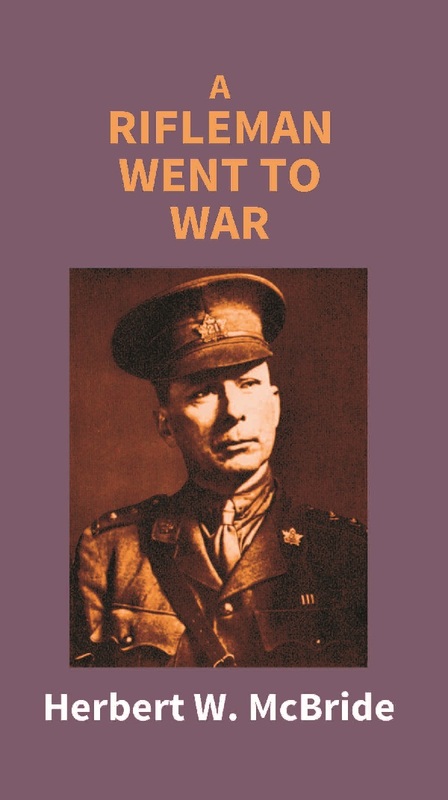 Having had the compulsion to contribute during the war, even before the U.S. had formally engaged, he joined a Canadian regiment so that he could make sure that he wouldn't "miss all the action". The battlefield depictions are vivid and shocking, although they are described in a tone that is cold and analytical. His story includes frequent digressions on the mindset, the tactics, and the weapons of sniping, and has many hard-won lessons about personal survival on the battlefield. Herbert W. McBride was a Captain in 21st Battalion of the Canadian Expeditionary Force. He participated in the First World War, wounded seven times and finally invalided home after two years on the frontlines. He was an enthusiastic soldier and a superb sniper, with over 100 confirmed skills. He wrote two books about his experiences with the 21st Battalion—A Rifleman Went to War and The Emma Gees. No reviews added. Be the first one to add review! Write your review about this book. your review will be published within 24 hrs. www.kalpazpublications.com is not be responsible for typing or photographical mistake if any. Prices are subject to change without notice.